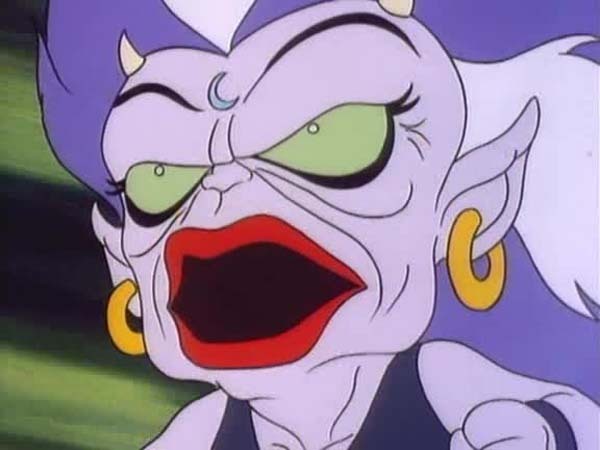 If there had been an award for the most bizarre ThunderCats episode ever written, William Overgard would have won it hands down and on multiple occasions. Responsible for crafting some of the most outlandish scripts, Overgard never shied away from introducing a plethora of new characters, gadgets and locations in his stories. Some of Overgard’s episodes diverge so greatly from the norm that they hardly feel like a part of ThunderCats canon at all. 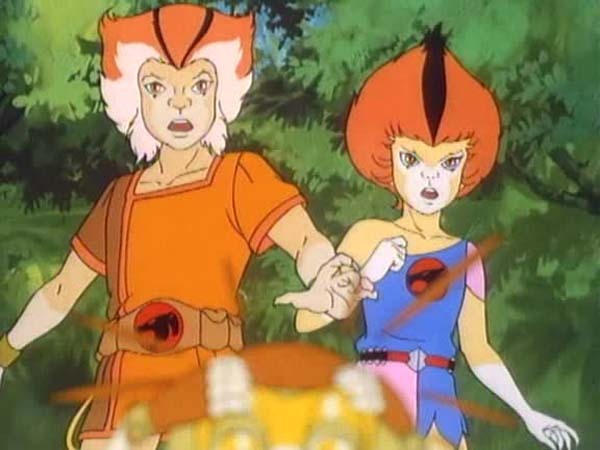 Beginning like a normal ThunderCats episode with another Lunataks’ plan being foiled by the courageous cats, “Exile Isle” immediately enters surreal territory from there on. 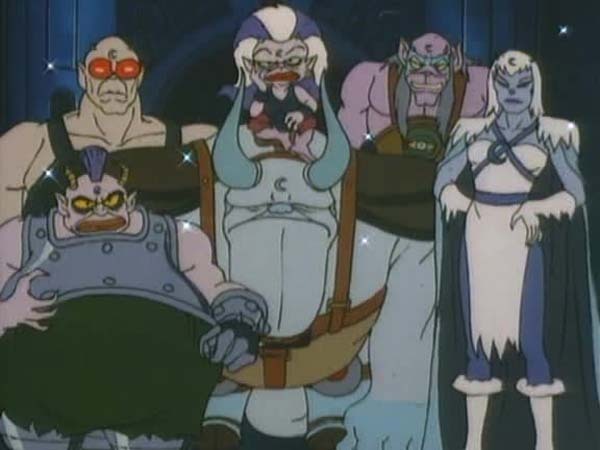 For the first time we see the Lunataks taken to a Thunderian Court, comprising of a jury made up of the ThunderCats and some Third Earth natives. The unanimous verdict is to exile the perpetrators to Exile Isle, a deserted tiny planet far away in space, and their sentence is carried out immediately thanks to a teleporter. The proceedings raise a number of questions. Why have the ThunderCats never used the teleporter to travel to distant locations like New Thundera? Why have the ThunderCats not meted out the same punishment to other villainous factions like the Mutants? These are just a few of the many perplexing questions raised by this script. 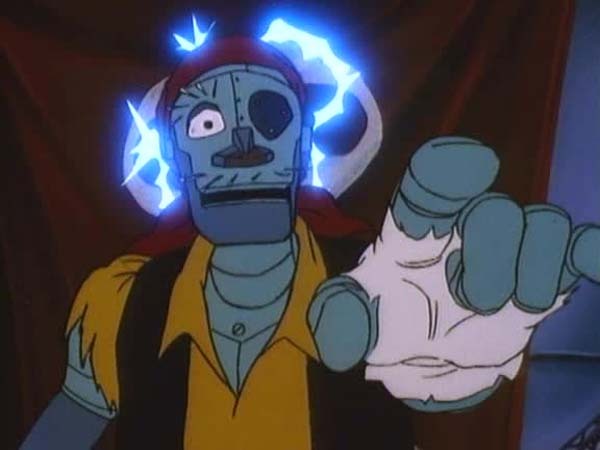 As soon as the Lunataks arrive on Exile Isle, they run into its sole inhabitants, Captain Cracker and his robotic parrot Polly. 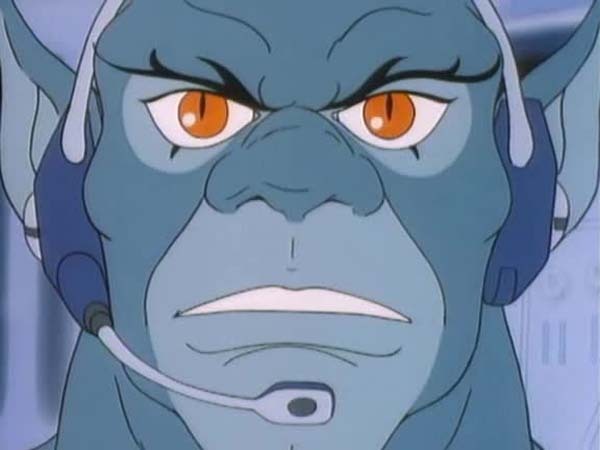 As if by an improbable stroke of luck, Luna just happens to have a radio with her and Captain Cracker uses it to send a distress signal to a nearby passing spaceship with a cargo of highly explosive “Zlam Gas”. Since all space travelers keep their distance from Exile Isle, Captain Cracker has a trick up his tattered sleeve to lure the craft to them. In a move that is sure to equally irk and confuse environmentalists, Cracker and the Lunataks pump giant bellows to blow dust from a nearby volcano and cover the entire planet in a coat of thick fog! The cloud of mist causes the spaceship to crash but not before its occupants eject in a small life craft. The impact of the spaceship’s crash knocks Exile Isle out of its orbit and Cracker fires up the craft’s rockets to steer the entire planet towards Third Earth. 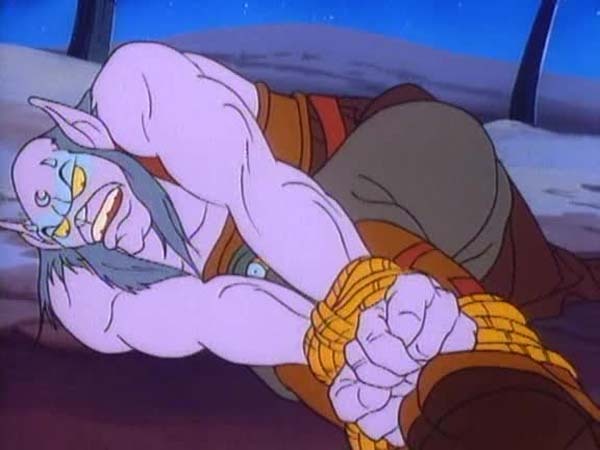 At the behest of the ThunderCats, Snarfer who was returning in his ship from New Thundera goes to investigate and ends up crashing on Exile Isle. 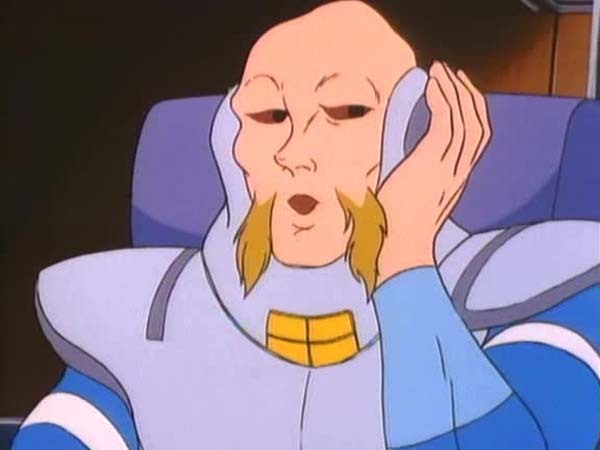 Lion-O decides to go to Snarfer’s aid and surprisingly chooses to leave the Sword of Omens behind, fearing that if the Zlam Gas filled spacecraft was to explode, the sword would be destroyed. 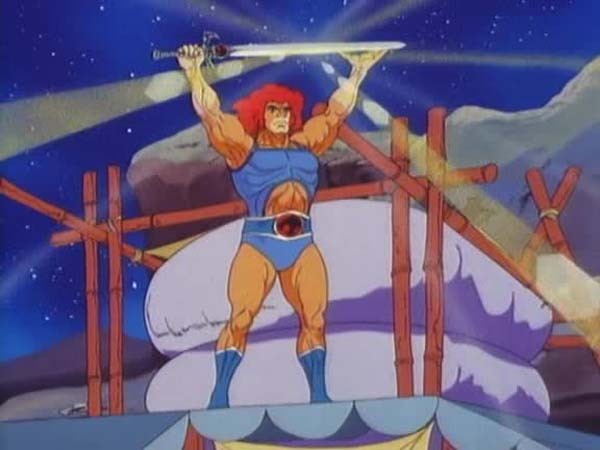 This is rather peculiar as Lion-O and the sword have always been inseparable and the mighty blade has endured and survived many worse predicaments. 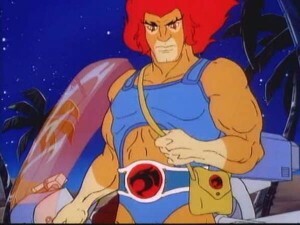 Even more baffling is the other ThunderCats not offering to accompany Lion-O on this dangerous mission. Lion-O arrives on Exile Isle and armed with just rock salt, some candy, and a lie translator, he is able to defeat the mighty Lunataks. 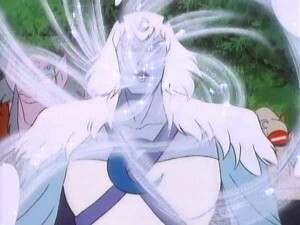 How interesting that in many previous episodes the ThunderCats employed massive firepower to battle the Lunataks when all that was needed were a few home remedies! After a brief scuffle with Captain Cracker and a mechanical palm tree with sawing fronds, Lion-O, pretty much ignoring his own earlier precaution, utters the ThunderCats chant and the Sword of Omens zooms to him, with Panthro and the ThunderKittens in tow. Using the giant bellows, Lion-O clogs up the crashed spaceship’s engines with dust and saves the day. 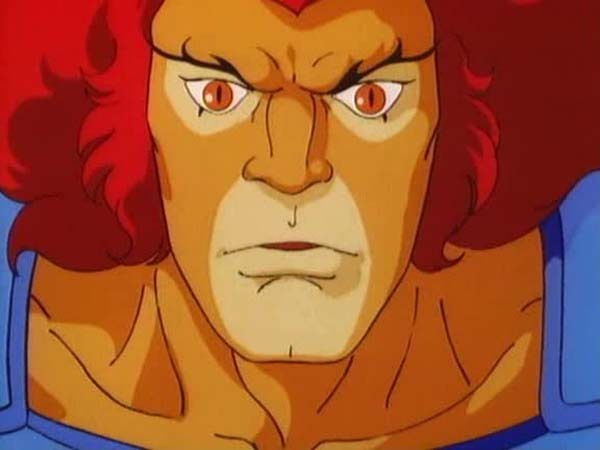 Like any work of fiction, the writers of ThunderCats employ a good deal of artistic license in their stories while at least somewhat respecting the limits of possibility. Overgard on the other hand, operates well outside those limits and still manages to pen some very entertaining episodes. Regrettably, he goes too far with “Exile Isle” and the blatant disregard of logic is something that would normally be seen in a “Road Runner” cartoon. Overgard introduces too many weird characters and devices in a short span, and most of them don’t do anything to further the story. Secondly, he completely ignores continuity on more than one occasion. 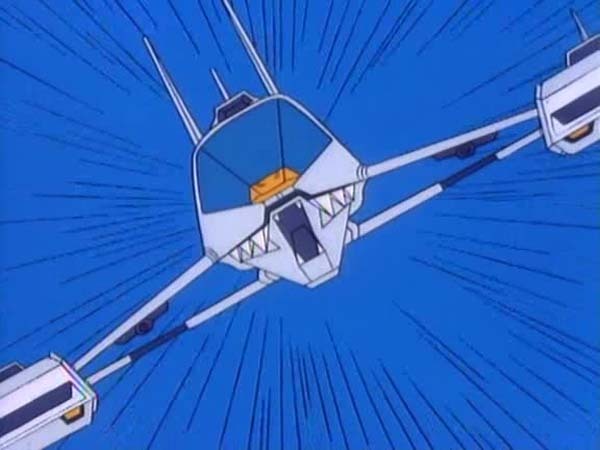 One example of this is showing the ThunderStrike and Hovercat travelling in space when it was made quite clear in previous episodes that the Feliner was the ThunderCats’ only interstellar vehicle. Even if the audience were to ignore all these shortcomings, which is already a lot to ask, it is impossible to overlook the fact that this episode has no significant plot. “Exile Isle” is merely a collection of imaginatively abstract scenes strung together into an incohesive story to fill up the episode’s time span. 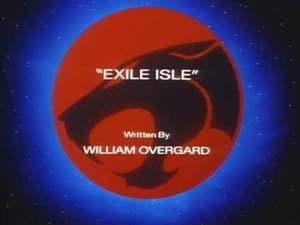 Like many of Overgard’s other episodes, “Exile Isle” is also predominantly set in his favorite location, outer space. The episode marks the debut of “Scooper”, a robotic dog given to the ThunderKittens as a present from the Berbils. The episode also introduces other new characters, the pilots of the Zlam Queen Space Tanker. Cheetara, Pumyra, Bengali, and Snarf do not appear in this episode while Tygra only appears in the beginning and has no line of dialogue.